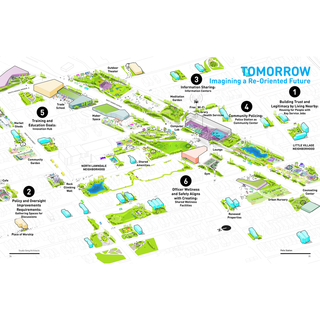 See more objects with the tag reuse, sustainable, save, urban fabric. This is a Project. 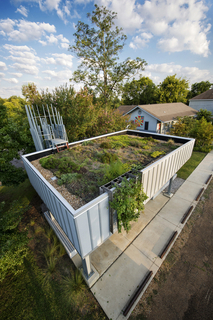 It was designed by City Architecture and made for (as the client) City of Cleveland, with the residents of North Collinwood. 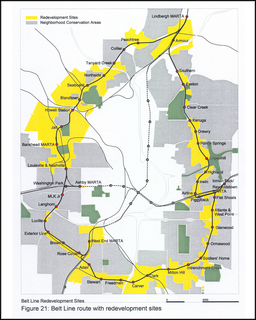 It is dated 2010–11. 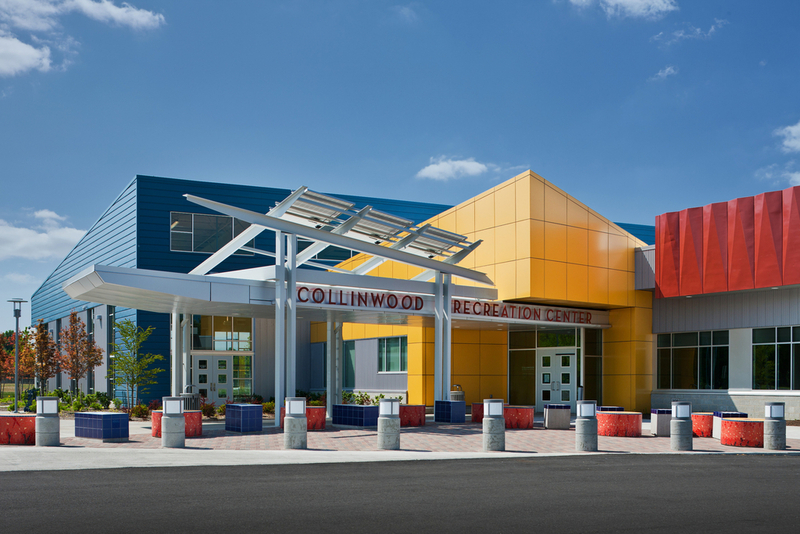 In Cleveland, Ohio, the Collinwood Community Center demonstrates the transformative potential of turning a blighted eyesore into a thriving community hub. 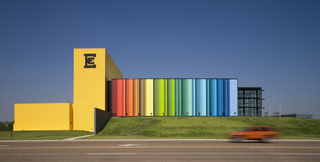 City Architecture took an abandoned big-box store and, with the Collinwood community, designed a center that is helping rejuvenate the surrounding neighborhood. Deconstructed, much of the original steel structure, roof decking, foundation, concrete, and metal panels were reused to form the new 45,000-square-foot facility. 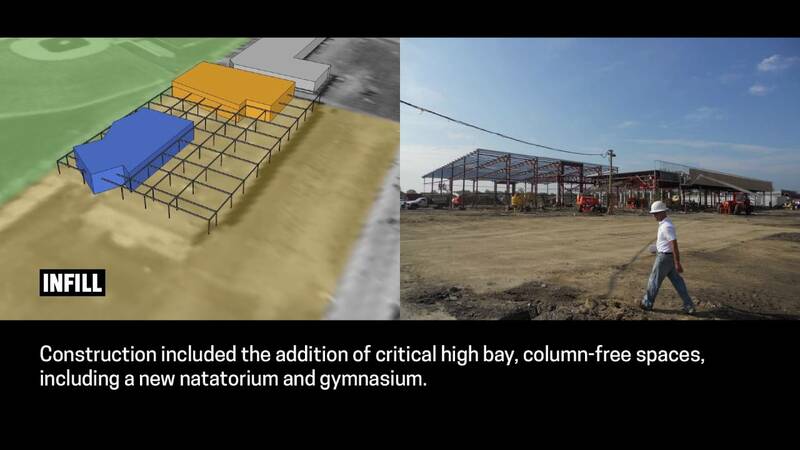 Pre-engineered building enclosures “inserted” within the existing steel frame house the new natatorium, gymnasium, learning center, and community meeting spaces. 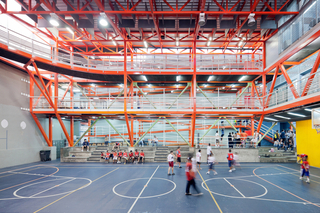 We have 1 video that features Collinwood Community Center, 2010–11.